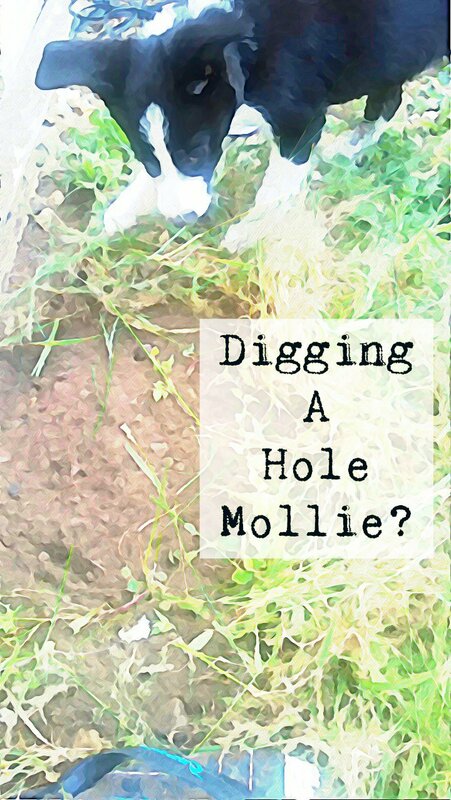 Mollie has just discovered digging. She keeps sneaking off to the bottom of the garden to dig. I notice her sneaking my sons flip flop down the bottom of the garden. Next minute the flip flop had been hidden!! 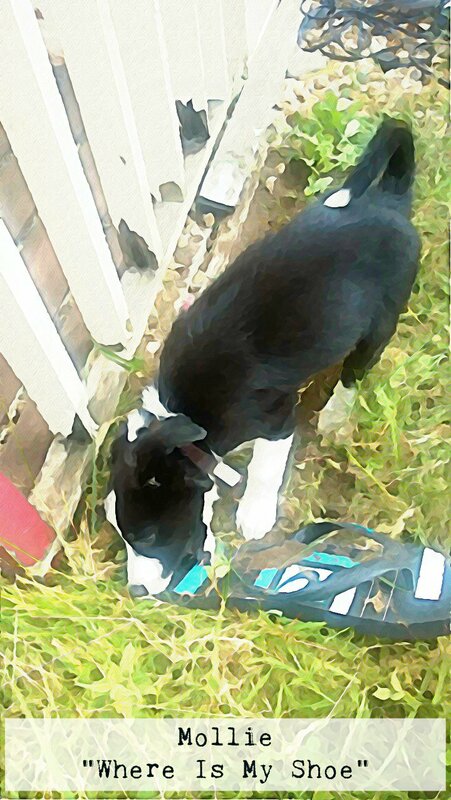 If I can not find my shoe sometime in the future, maybe I should check the garden!?! "Chocolate Chip Brioche Loaf Pudding…"
"Places I Love In Nottinghamshire : Newstead Abby …"
Cute photo, I like how you made them look like a picture book. Hopefully your shoe collection will be untouched! Thanks Annie, she keeps pinching my shoes, no one else shoes though, ha!